This fall, don’t let your passion for style cause you to neglect your conscience. Here are 5 great ways to keep your wardrobe fresh, all while breaking the cycle of mindless consuming. Take advantage of your friends’ great taste! Next time you plan a night in with your girls, bring that pile of clothes you’ve been meaning to get rid of. Fresh additions to your wardrobe at no cost, plus the opportunity to clean out your closet = win win! As a young adult, it may seem like you have to sacrifice thriftiness for a professional appearance, but don’t be fooled. We’ve gotten some beautiful pieces from thrift stores like Plato’s Closet and Buffalo Exchange — you just have to know where to look. Pro tip: Consider the neighborhood. For example, if you’re seeking something upscale for your next shareholder’s meeting, head to an area flocked by successful businesswomen. Want something more conservative for dinner with the in-laws? A neighborhood populated by 30-somethings and young parents should have just what you need. All of us at Threads Worldwide are huge fans of shopping thrift first, and for good reason. We want to keep excess clothing out of landfills, support thrift stores that have positive impacts on their communities, and contribute to a clean supply chain. So naturally, when we stumbled upon online thrift stores, we became a little obsessed. ThredUp is our absolute favorite. You can browse their site by category, price, and even brand. Plus, no fighting rush hour traffic or circling the parking lot! The public is becoming increasingly aware of the unjust labor that goes into stocking their go-to fast fashion stores. Luckily, ethical clothing companies are cropping up, providing easy ways to convert to conscious consuming. 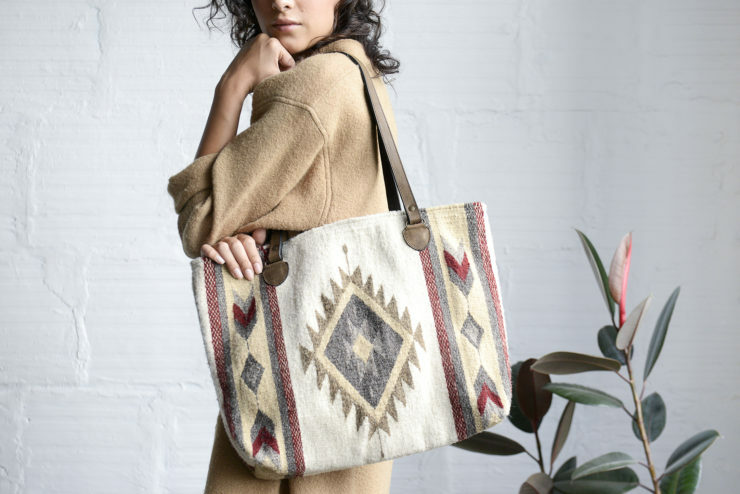 We’ve recently fallen in love with Manos Zapotecas, a Fair Trade company that employs over 50 women in Oaxaca, Mexico, to weave stunning bags by hand. The Zapotec artisans have been practicing this trade long before Shelley Tennyson started the company in 2009, but now their customer base is limitless, and the artisans’ lives have been transformed. Next time you need a gift for your sibling or co-worker, remember this site. You can give a stylish gift and know your purchase is going to a great cause. Here in Denver, we love to frequent Common Threads. This small, one-of-a-kind consignment boutique allows us to contribute locally while thinking globally. We know we’re not the only lucky ones! Check out TheThriftShopper.com for a list of thrift shops in your hood. Pro Tip: When searching for thrift and consignment stores, try Googling near a specific address rather than “near me.” Your results will be much more promising!